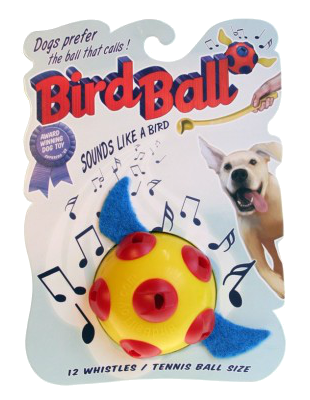 BirdBall - Whistling Fetch Toy for Dogs. 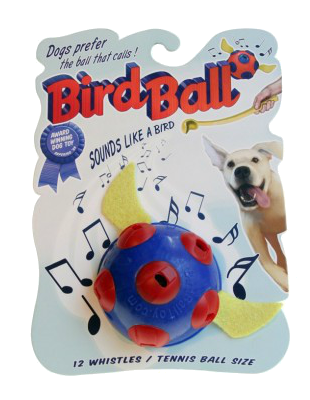 Dogs love the whistling sound BirdBall makes when you throw it. 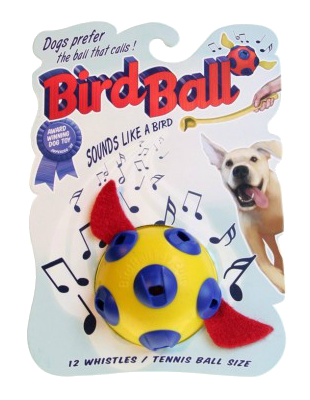 BirdBall makes it easier for dogs to know when and where you throw it. 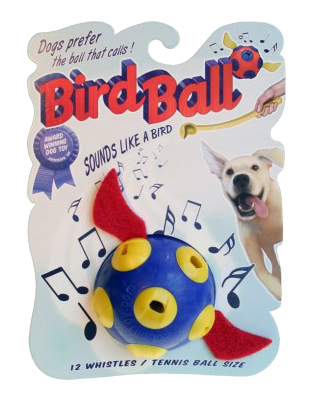 Each Birdball contains 12 wind-powered whistles that chirp when thrown (no batteries required).Little dogs can pick up BirdBall by the wings. 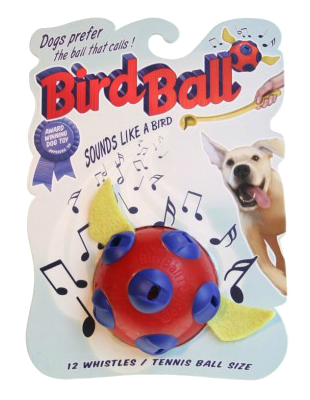 BirdBall is compatible with tennis ball launchers. Durable. Non-Toxic. Floats. Super fun for you and your dog!